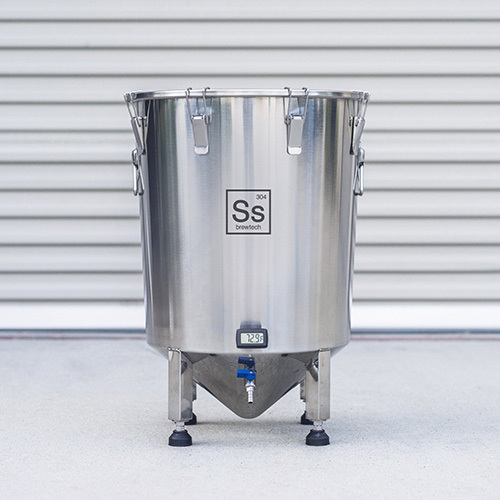 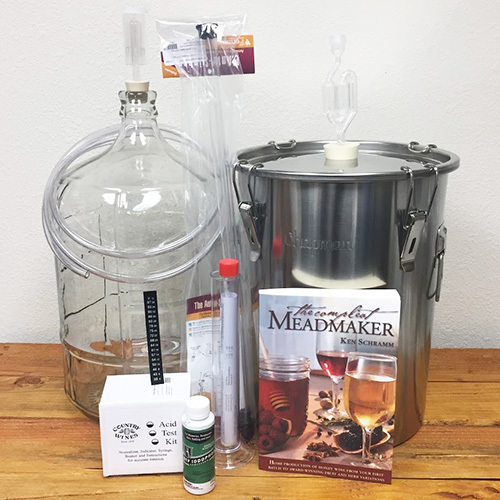 Ss Brewtech 14 gallon Brew Buckets offer nearly all the features of a true conical fermentor for half the cost. 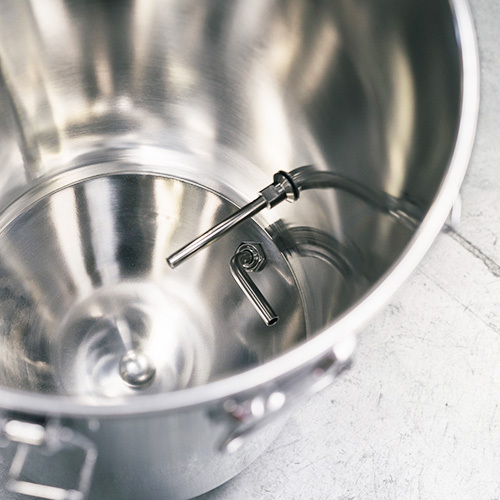 Stainless steel construction is durable and is easy to clean. 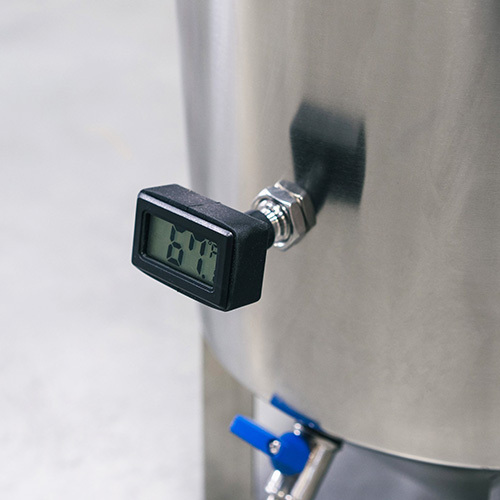 A cone bottom collects trub and yeast in a compact area, allowing for very clean separation of your beer through the rotating racking arm. 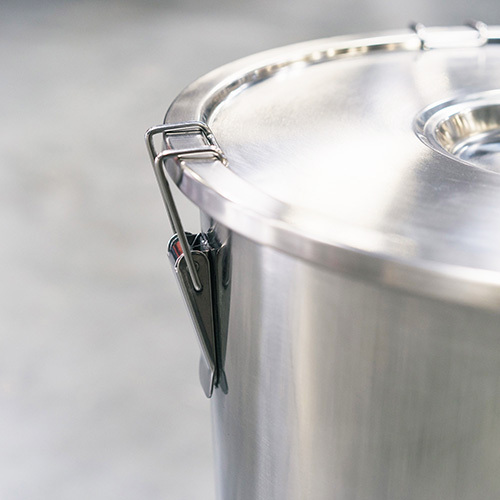 All Brew Buckets include handles, thermowell with thermometer, and gasketed locking lid. 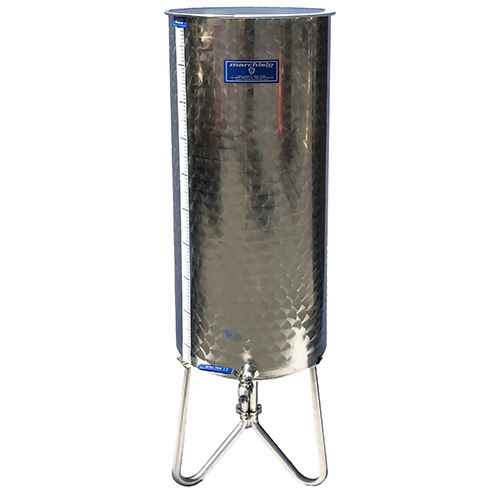 The 14 gallon capacity is perfect for 10 gallon batches.